Liverpool fans are pretty much concerned regarding the instances happening between Mohamed Salah and Sadio Mane. Is there something brewing between the two star players? The Reds beat Tottenham Hotspur 2-1 on Saturday to keep their place at the top of the table after a fifth successive win on the road in the Premier League. Both Mane and Salah weren’t on the scoresheet for the Merseysiders on the day, but that didn’t create any issues. 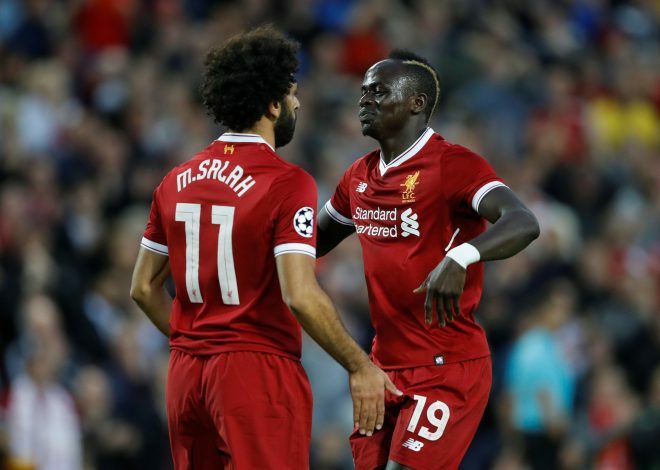 What caught the attention of the Liverpool fans is that a friction is somewhat evident between Mane and Salah. On several occasions, Mane had the opportunity to pass the ball to Salah, but instead chose not to. One particular moment came to the fore when Liverpool broke three-on-two, and it was Mane who had the ball. Both Salah and Naby Keita were free, and although Salah could have been passed to, Mane chose the latter instead. Keita’s shot was eventually blocked by the Spurs goalkeeper. This incident has got the fans guessing what is happening, as Salah netted in 44 goals last season, and would have been a better option in that situation rather than Keita. Too much talk of a fallout between Salah and Mane for a club that’s won five games out of five and conceded only two goals. To add weight to the same, the two players were earlier involved in a clash during the International Champions Cup back in the pre-season tour of USA. The Reds were up against Manchester United and had been awarded a penalty. Both Salah and Mane had a little altercation as to who will take the same. Finally, Mane took the spot-kick and scored. Perhaps going by this, not all seems well between the two. If Liverpool are to do well this season, then Jurgen Klopp will need the duo to bury their hatchets.